Built this computer as an upgrade for my old computer that ran on 4690K. The computer will be used for photo editing and gaming at 1440P 144hz. The most demanding game I play is probably R6S. 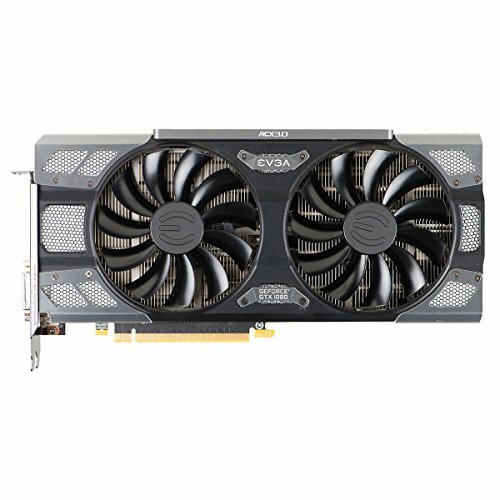 I upgraded my GPU last summer from GTX 970 to GTX 1080 after I found newegg selling this one for ~550$ CAD. I went into this build knowing that I'd overclock and I didn't want to use an AIO again (old build had Corsair H100i). Always knew Noctua were the best air cooler solution so I just went ahead. I also didn't want to do a black/white or black/red build, having done those already. The D15 is absolutely huge and it covers alot of MB connectors and standoff screw holes. Mounting the spring loaded screws can be a bit tricky as well. You can mount the D15 after you install the MB into the case and set up the connections around it. 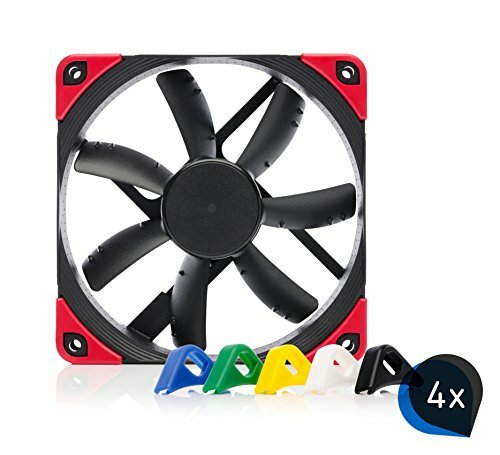 The problem is that you would have some difficulty latching the fans to the cooler due to limited space above the cooler. Also, it would be nearly impossible to make fine adjustments to fan heights on the D15 to make sure everything is perfectly even. So in my opinion, the best way to do it is to hook up any connections near the D15 then mount it outside of the case. You will still struggle a bit with the standoff screws but if you have a very long screwdriver (longer than the one Noctua supplied), that won't be an issue. While the D15 fit inside Meshify C, I wish the case was slightly wider. If you don't care about colour, U14 is probably a better bet. You will also need low profile RAM to fit with D15. Probably the most expensive case I've used (last build used S340) and the qualify does come through. Alot of room for cable management, build quality is excellent. I think I'd rate it 9/10 but here's my complaints with it. The front audio cable is not shielded and the cable will run past the PSU. This makes the front audio really terrible (buzzing + echoing), so I had to buy a USB audio adapter to keep using the front audio ports. I wish there were more instructions. This is my 4th build and some of the time I'm still flipping through the instruction wondering "wat?". For example, manual doesn't demonstrate how to mount case fans, something first time builder will appreciate. The 3.5 inch bays make cable management a bit difficult, especially with stiffer power cables. I wish I can remove the drive bay and still install one 3.5 inch drive. The instruction manual seems to suggest this is possible as a drive can be mounted using screws from below but as previously said, the instructions were minimal so I wasn't sure if that was the case. I wish I can remove the front panel entirely. I know Gigabyte is supposed to have the best VRM's, which is why I went with them, but Z390 UD is still the cheapest model. Gigabyte's BIOS is not the easiest to use so it took a bit of learning. I'm currently running my 9600K at 4.9 Ghz and Cache at 4.6 Ghz. LLC is set to medium (as per buildzoid video's recommendation) and core clock set to normal with -0.02 V offset. During stress testing the temp goes up to 82 C with prime 95 and 73 with x264. During gaming it stays below 70. V Core max goes up to 1.32 as per HW monitor I did achieve 5.0 Ghz with my 9600K but it required v core to go up to 1.38-1.4 sometimes. Most of the time underload V core was around 1.35 V. The temperature were fine but I wanted to stay under 1.35 V core and I figured I won't notice any difference between 5 and 4.9 anyways. "The front audio cable is not shielded and the cable will run past the PSU. This makes the front audio really terrible (buzzing + echoing), so I had to buy a USB audio adapter to keep using the front audio ports." Im not that sure if thats a problem of the cables. At least an echoing is nothing i ever heard someone talk about when it comes to those problems. Also normally Fractal Cables are as shielded as other Case Cables are. the back audio port to the mobo is, the last bit of the audio cable is not shielded and i think the evga psu is bigger what I'm used to so there's probably some interference there. i may have just fukd up the audio cable or i got a defective one. I've had the same issue when building my brothers build using the Asus Z170-A and it turned out to be a motherboard issue as the default voltages for the audio aoundcard were to low so I had to adjust it higher to remove the buzzing sounds, note that the audio was fine when I wasn't overclocking but when I overclocked the buzzing sounds would come back. Sorry for hijacking second top comment but what is the yellow part on the bottom of the mobo? the Mobo has a thing yellow/orange LED strip to the bottom left. 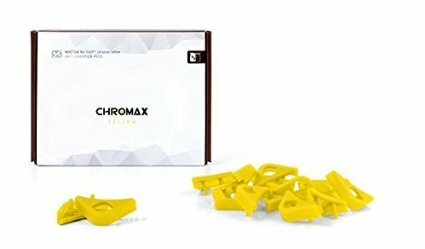 But if you mean the bit of yellow in the middle bottom when system is not on, that's Noctua's yellow chromax Y splitter. The two top fans are connected to the bottom system fan header through that. Very smart build, but my god that cooler is massive! Makes the case look tiny. I have the Meshify arriving in a day or two, looking forward to building my first PC in it. AFAIK you can remove the drive cage btw although not sure how easy it is to do after you've already installed everything. Unscrew it from underneath the case then I think it will either slide out the back of the case when you remove the PSU mounting bracket, or you might be able to get it out through the removable panel in the PSU shroud... which I believe is held in by screws behind the front panel. You can then screw a single drive directly to the bottom of the case using the same holes that attached the cage. And speaking of the front panel, did you know that you can remove just the air filter mesh separate from the front panel frame? Once you pull out the air filter that runs underneath the case you can reach up underneath and release the plastic tab holding the front mesh in. Fiddly, but does at least make it possible to clean the front filter without being attached to the case by the front panel cables. Yea i have the mini version of this case and I have removed the drive bay and installed 3 fans in the front. I also mounted a 3.5'' drive to the bottom, I believe you can put a fan there to? I considered removing the cage and mounting the drive directly to the bottom of the case, but I decided I can just fit everything in. Honestly, if the manual said "here's how you mount a 3.5 drive without using the cage" then I woulda done it. I like the yellow and black. Check out this build. oh man I want those cables. This reminds me of a build by Simon Riley. This is a very nice looking build. This looks great !!! Well done. Where did you hear that Gigabyte has the best VRM's? just reddit and hardware unboxed / buildzoid vids. My wife made a comment as she walked past the screen of completed builds, she said it's Eye Candy!! It does stand out in a crowed of PC's, good job. Really nice clean build man. Only thing I'd personally add is custom cables/extensions. ty, any recommendations on where to get custom extensions? Amazon might have some. If you have the money for it, mod-one.com sells amazing cable extensions that let you customize each individual cable. It's not cheap, but damn, they're nice. I have some myself. Holy Shnitsnacks!! VERY CLEAN!!!!! I am in heaven. Gorgeous. So nice man. Seriously, it's fantastic. A set of custom cables would make that build straight NEXT LEVEL man. Feel privileged to have seen this. This is very impressive and super clean. The only thing I'd recommend is going for a set of yellow custom sleeved cables for the entire rig. Very nice build and congratulations on the feature. Thanks man. Do you recommend any specific site for custom psu cables? https://cablemod.com/ likely has some of the overall best going, and you can even get cables done with very specific wire-by-wire patterns if you so choose. They are obviously not cheap, but let's be honest nothing good is cheap anymore. Have you thought of Black & yellow individually sleeved cables? either entensions or a full out replacement? they look much better than the default cables. the gtx 1080 is from my previous PC so I was kinda stuck there, at least it's got yellow RGB. So the computer is beautiful. 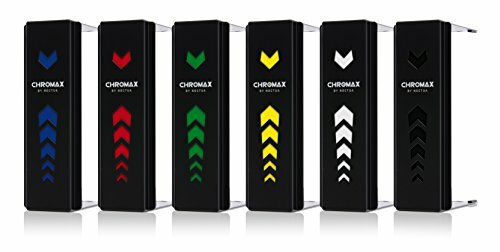 You did a beautiful job of making the rest of the components get out of the way of the Chromax color scheme. I find it hilarious that the only components defining your color scheme are your fans and your CPU cooler. But it just works, to the point that you received a well-deserved feature. Very nice build. The details make the difference! Such as buying the extra anti-vibration pads for the NF-A’s. Be careful with those fans dawg. You've got 3 exhaust and 2 intake. If they are all running at the same speeds you'll run into negative air pressure in the case causing bad air flow and drawing in more dust than usual. 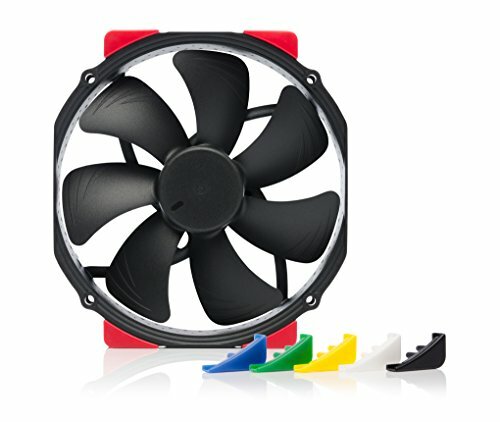 If they are PWM fans make sure the top exhaust are slower than the fronts at all times to ensure positive air pressure. You also want to make sure air is actually get in from the front to the top back of the case. 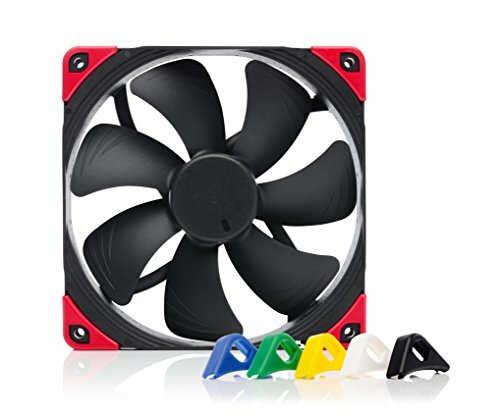 In some cases that many fans car actually hinder air flow badly causing air with not much velocity to just go straight to the top and never reach the gpu or cpu cooling fans. the best way to avoid this is to make sure those top fans are slower than the front. The back could be equal to the front intakes because exhaust is almost more important than cool air intake. Its just important to make sure cool air is actually traveling from intake to rear/top rear corner of the case. Just to be safe with your thermals I wanted to bring up these points. Great looking build by the way! Yellow isn't my personal jam but this is an absolutely gorgeous build. Fantastic pictures, too. did you paint the fans? if so what did you use? So do you think the upgrade was worth it? Like is the performance a massive jump or no? I've got a 4690k so I'm just wondering. for gaming the upgrade is not too extreme, but this depends on the game you play. for editing, it speeds up things a fair bit. 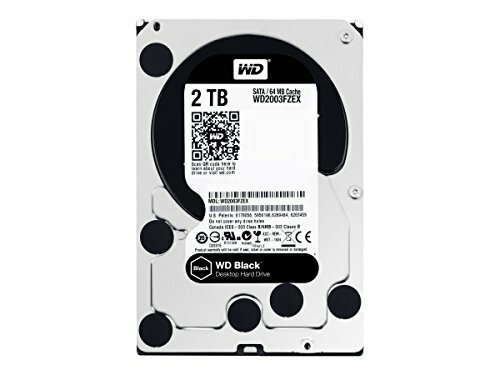 Hello, im looking to build to very first pc for gaming, making music, search the web. Just a good allaround pc. My budget is about 900-1000USD. I'm very new to this. I dont want an op pc, just one that could give at least 60-90fps on high or max settings. No lag, that could play all the new games. I dont have a monitor yet but i think i'm going to buy a 1080 or 1440p. 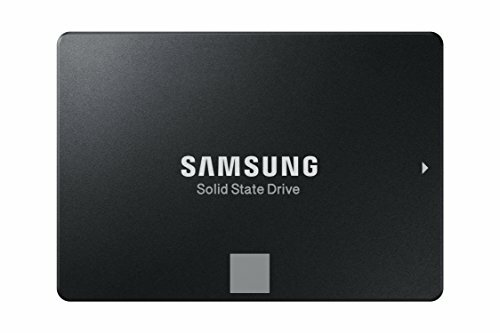 Could you guys link me to a good pc build or a prebuild one? I'm kind of scared to build my own pc too. haha. I dont want to break anything. But anyways i would be happy if the pc cost was under 800 dollars, as i want to save as much money as possible. But if not thats okej too. Do you have any tips for newbies like me? Thanks. I'm from sweden btw so idk if we have the same prices. And last but not least, this build looks awesome, idk if its good or anything like that, like i said i'm new to this. But it looks very good and hard to build. Name this as "Project YellowJacket" The build looks very thoughtful and aesthetic. Great build. Love it!! Very Very nice. I am putting together a very similar build. I am going to go green on the intake sides of the fans and yellow on the exhaust side. And on the CPU cover I will go green on the left, yellow on the right. Considering maybe just for the CPU fans, doing one fully yellow, and one fully green. Kind of a John Deere theme. I am going to go with F12s on the cooler though, as I can't fit an A15 over my RAM and I was it to be symmetrical. I hope than doesn't affect performance too much. Then I will RGB my video card yellow and RGB the motherboard green. Sorry to hear about your crappy luck with the 9600K. That build deserves a top binned chip. I got lucky in the lottery this time after losing on my 6700k. How on earth did you fit a beast of a cooler like the Noctua NH-D15 into a tiny case like the Meshify C?!? The Meshify C has a max CPU cooler clearance of 172mm. According to Noctua the D15 is 165mm tall and their heatsink covers are 5mm thick. That's not a lot of clearance between your glass side panel and the cooler. I intend to make similar build in the near future. Thanks for sharing your work process and results! I'm sorry, but I really don't see the feature-worthiness of this compared to other builds, like Jack The Ripper but it is a really clean and good build. Yeah, it looks great but where's the pizzazz? It's just a yellow shroud for the cooler and some rubber trim on the fans. No custom work or anything. You need to realize that not everybody has the ability to customize a machine or afford a 500 dollar custom loop. Anyone can recreate this build, and should provide good inspiration for anyone who likes it. Long answer short: pc pron. Like I'm not bashing it, but there are so many builds with a more unique theme and more ( ͡° ͜ʖ ͡°) pictures that didn't get featured. too poor for now :(, and some oft he ones I saw are a brighter yellow than the Noctua. any place to get custom cables you recommend? the place I got my cables from last time is out of business it seems like.